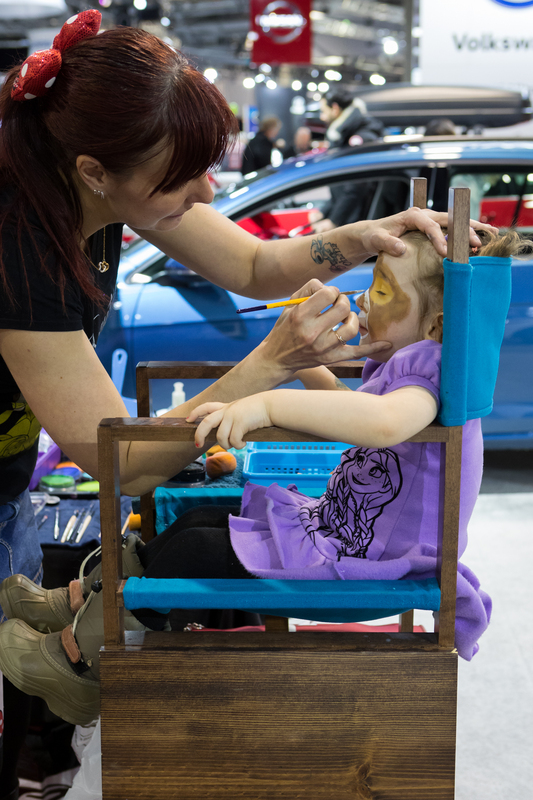 It is Sunday, March 10, 2019 from 9 am to 3 pm that the Auto Show will open the doors to families for a colorful day! 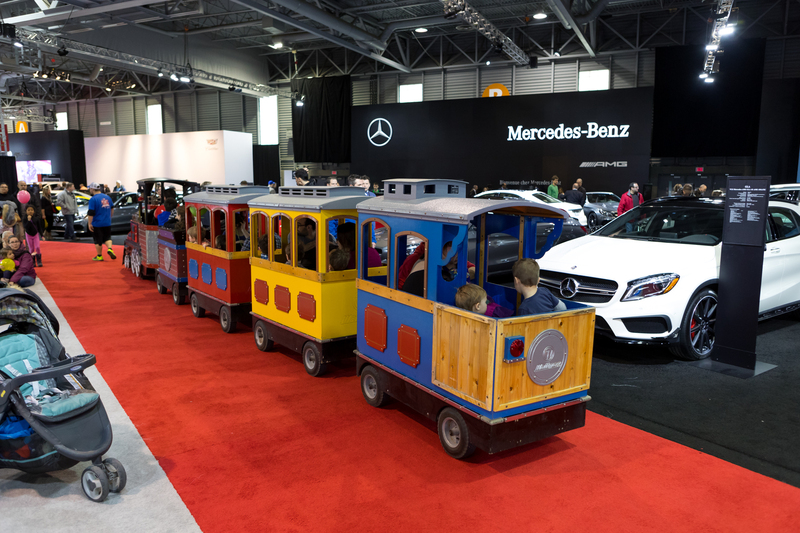 The activity will be free for 12 years and under accompanied by their parent. 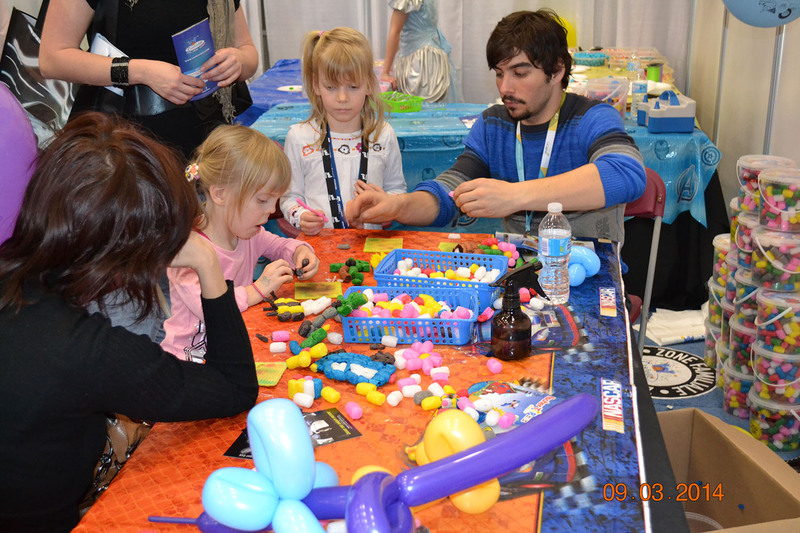 Always more fun for the little ones! 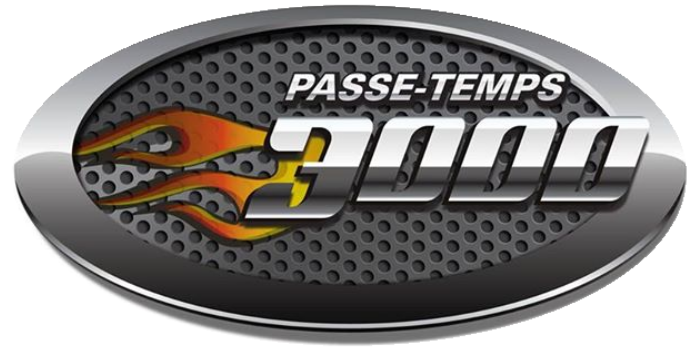 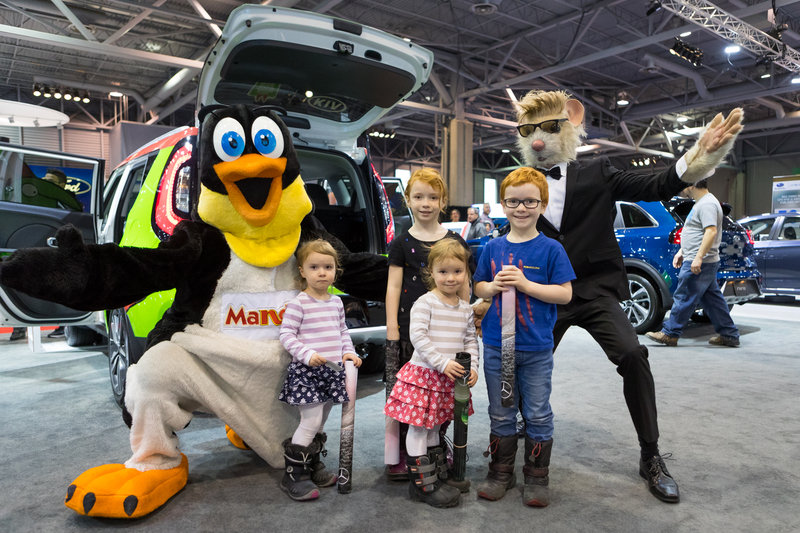 Come and have a good time during this unique day at the Quebec Auto Show. 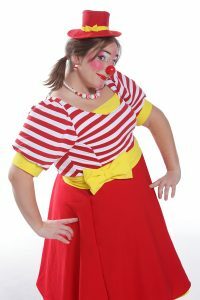 On the program: mascots, clowns, trains and thematic inflatable games. 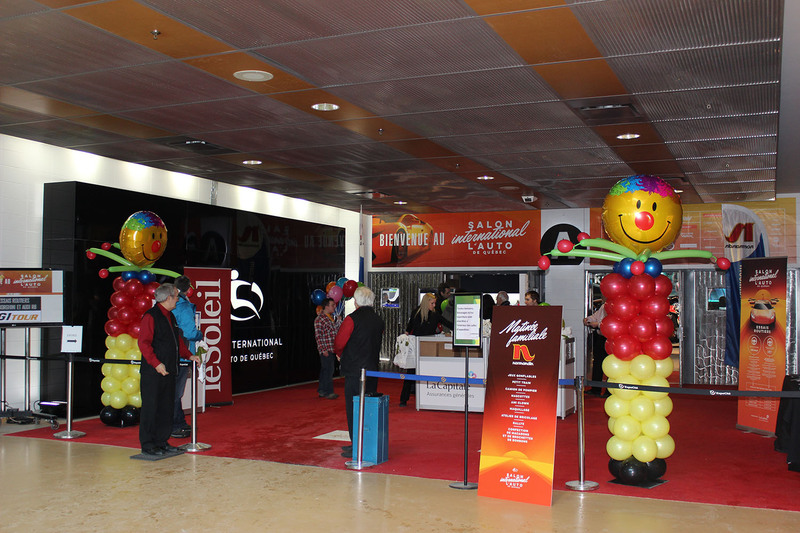 In addition, your children will enjoy visiting make-up kiosks, tattoos and balloons. 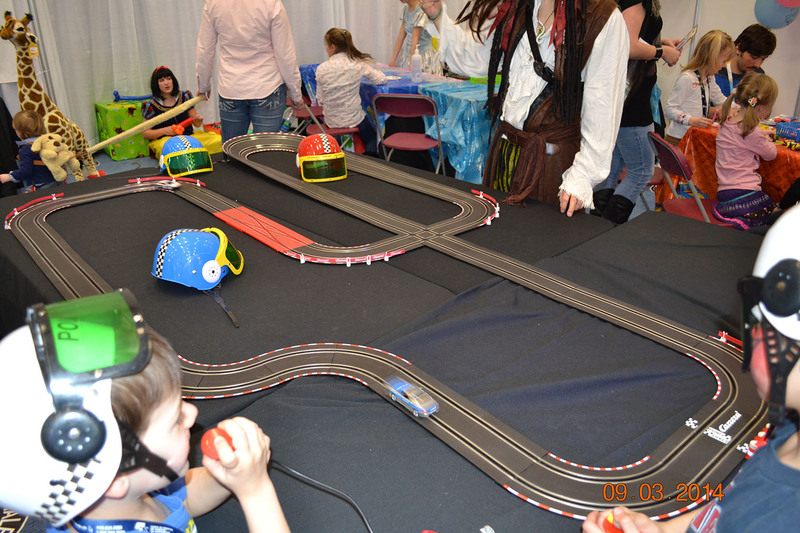 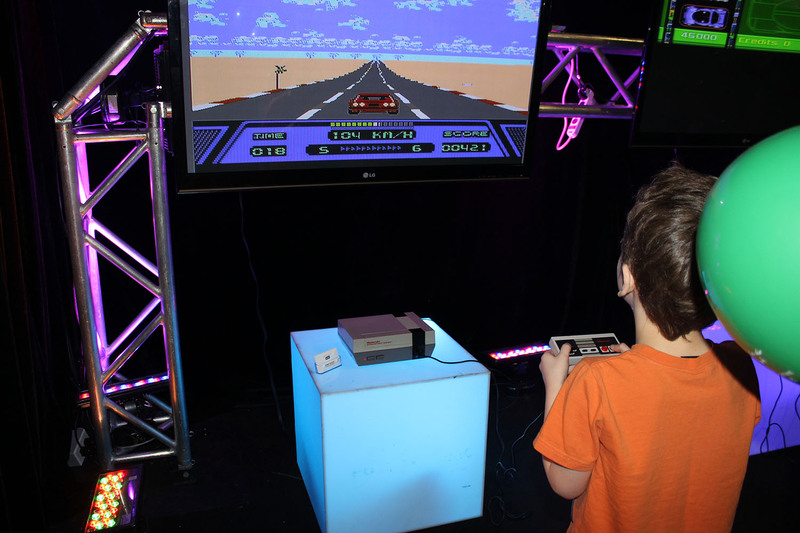 Also, racing tracks and simulators will be present to awaken the passion of cars in your little ones. 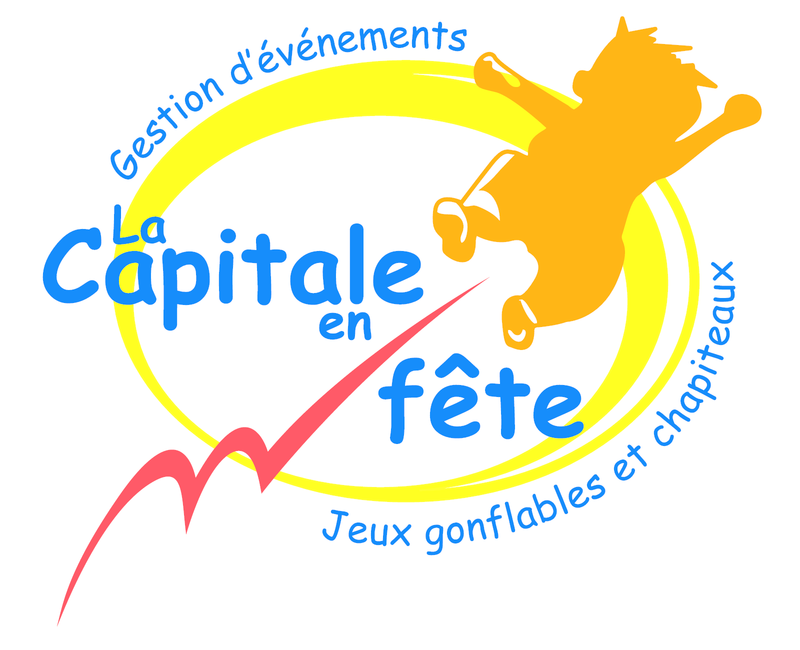 Do not miss this crazy day. 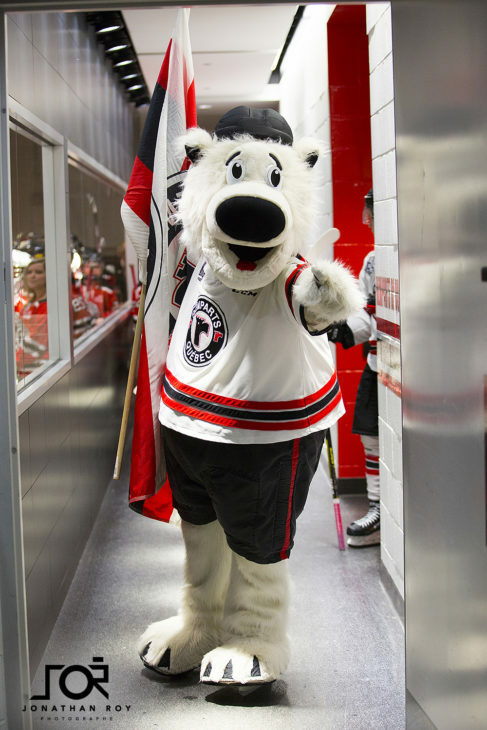 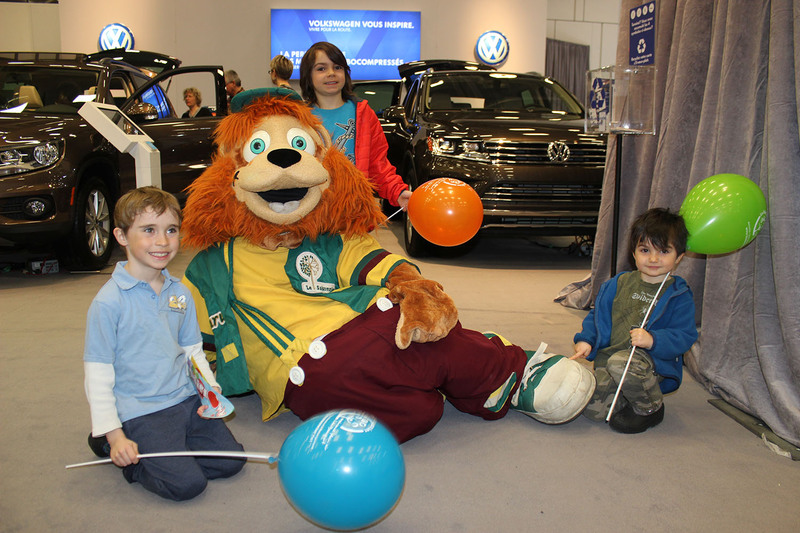 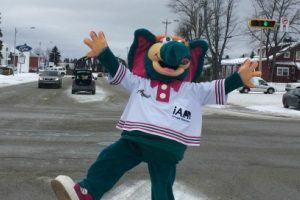 Come and meet the mascots who will be present at the Auto Show this year! 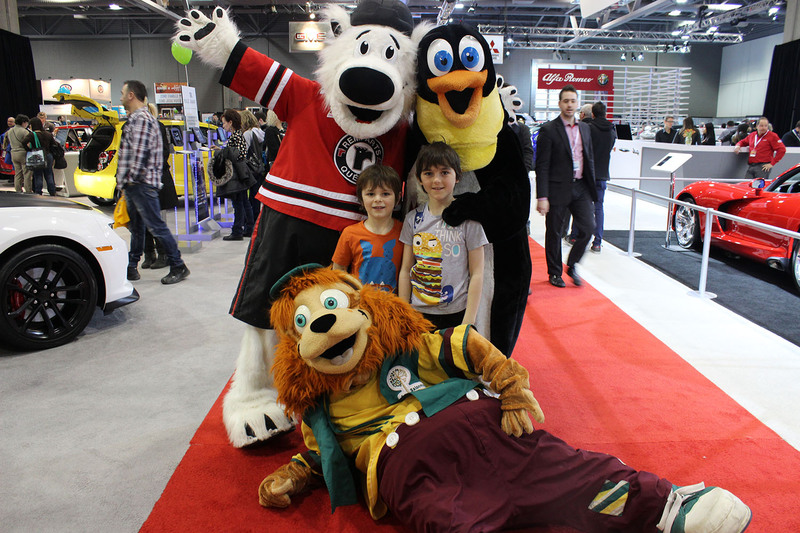 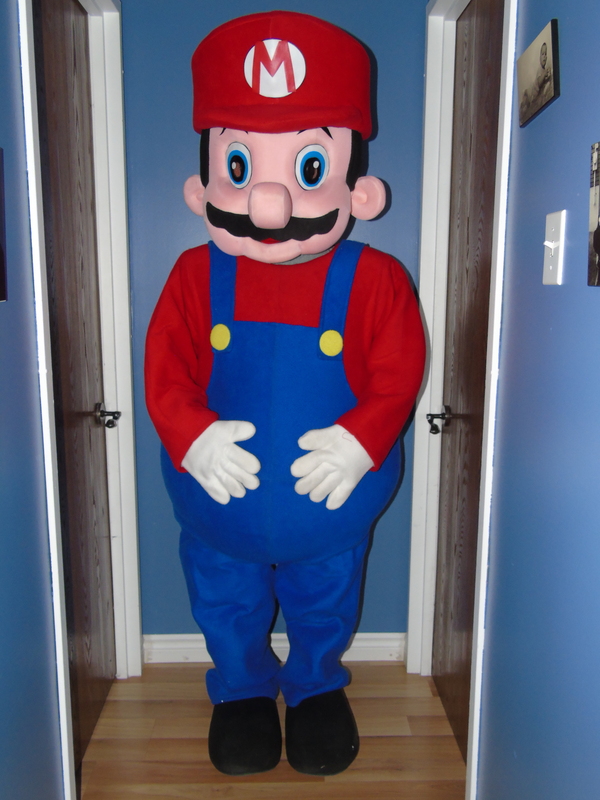 A great variety of mascots will be visiting the Salon to entertain young and old. 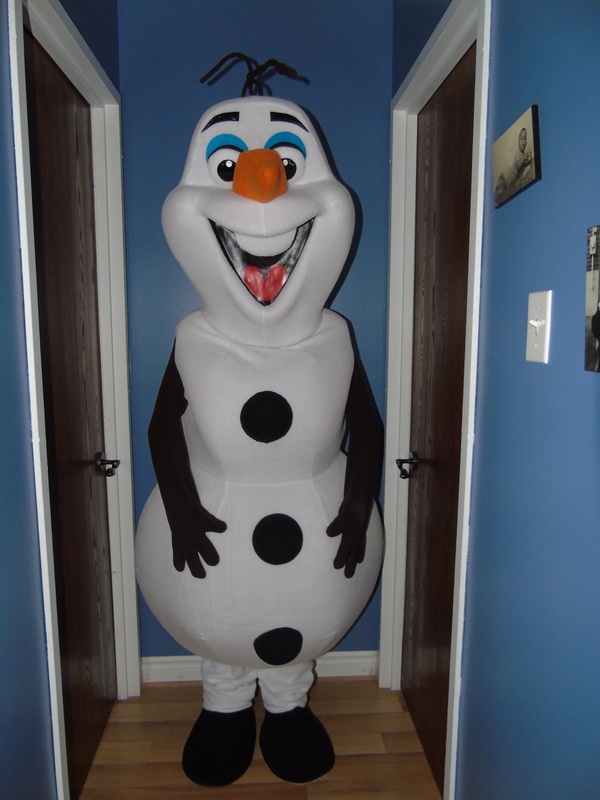 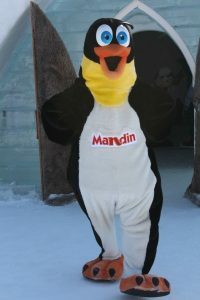 You will have the opportunity to meet Mandin from Normandin restaurants, Champion from the Remparts de Québec, Pampan and Pampinot from Festival Oie blanche of Montmagny and Angus from Industrial Alliance, who will stay near his booth , as well as other popular mascots with young people. 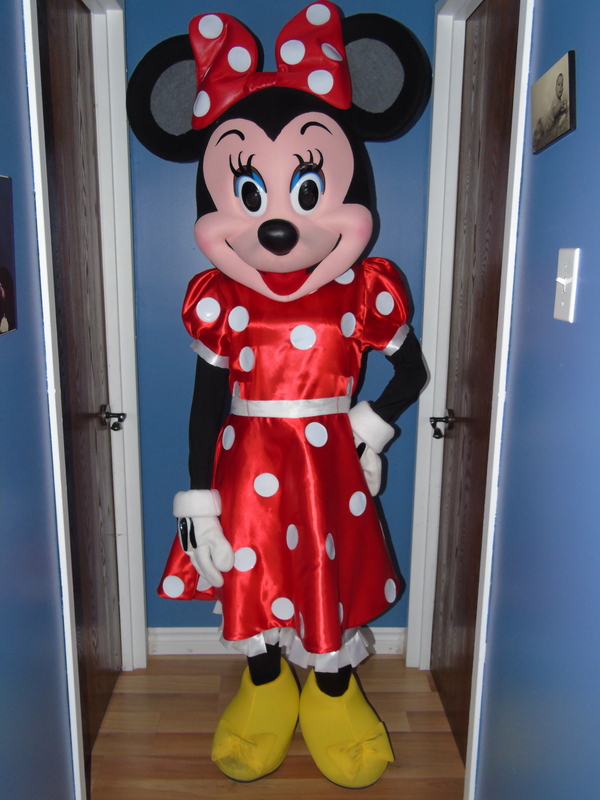 Definitely, it is an appointment not to be missed! 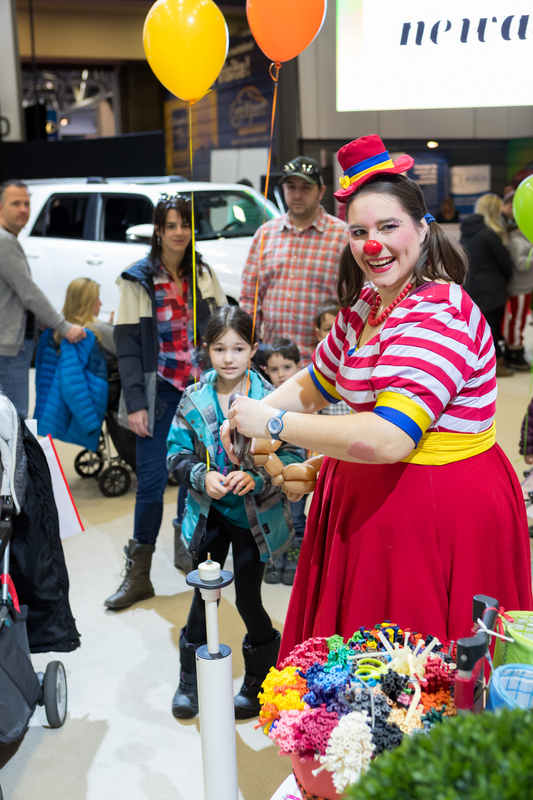 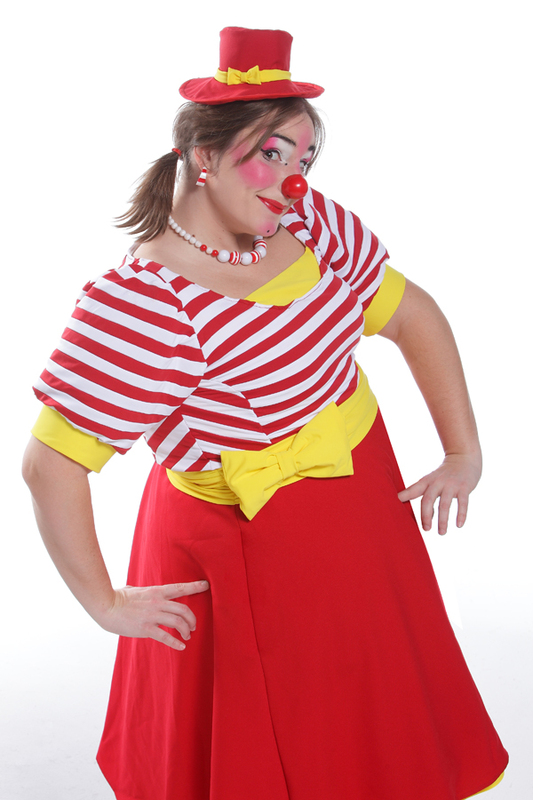 Come and meet Pakane the clown, exclusively during Normandin Family Day. 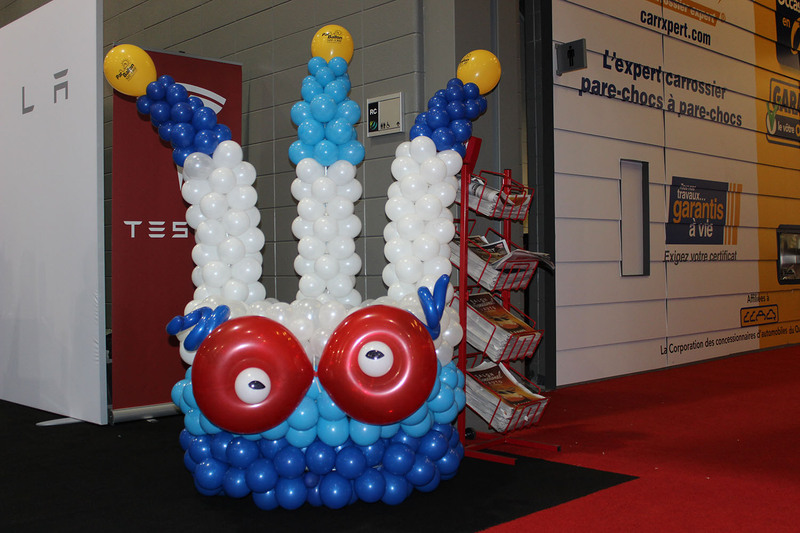 She will be present between 12:00 and 15:00 to make balloon sculptures. 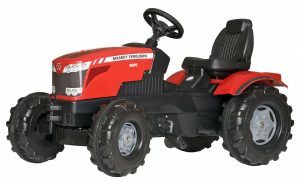 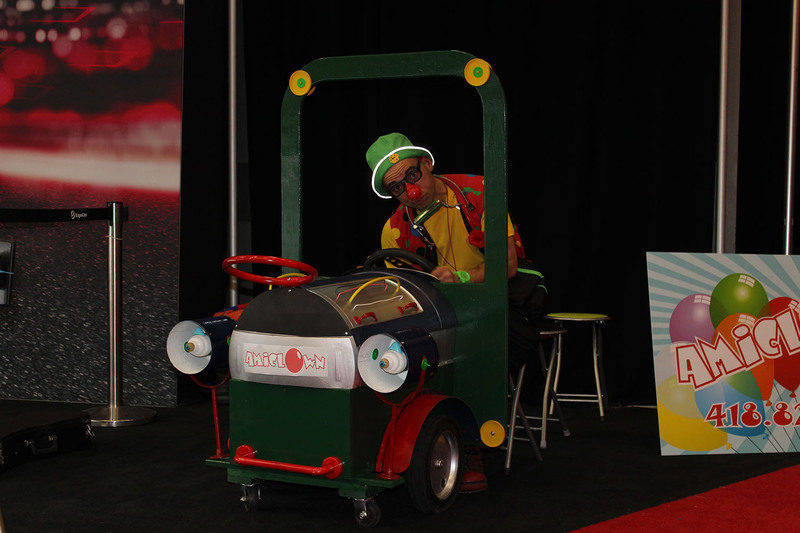 Come and have fun at the Elliot Club kiosk and get a chance to win a $ 200 pedal tractor! 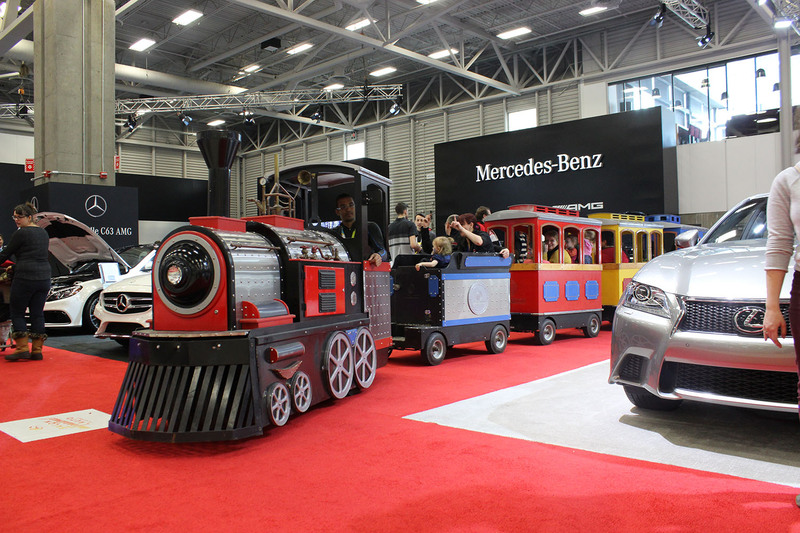 Choo Choo ! 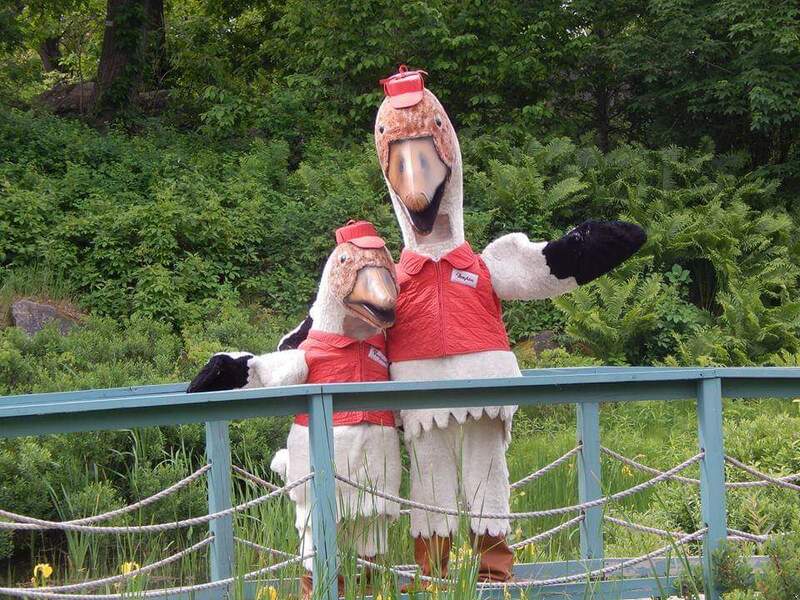 Everyone on board! 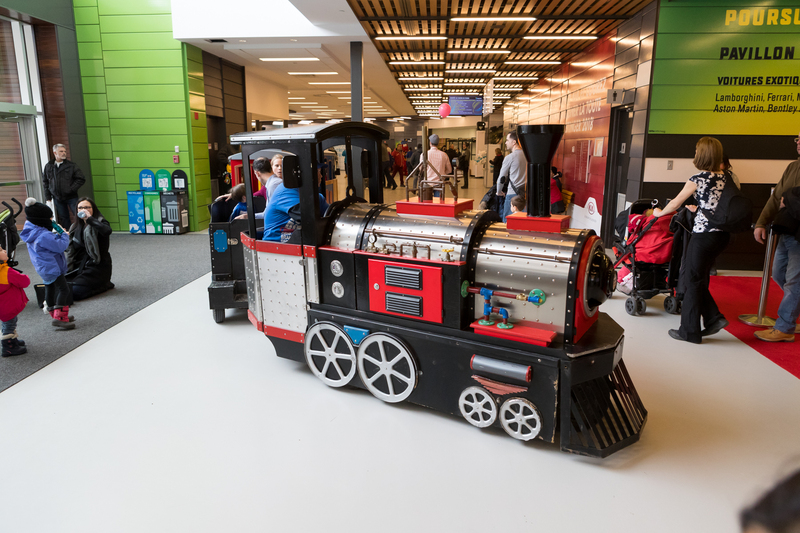 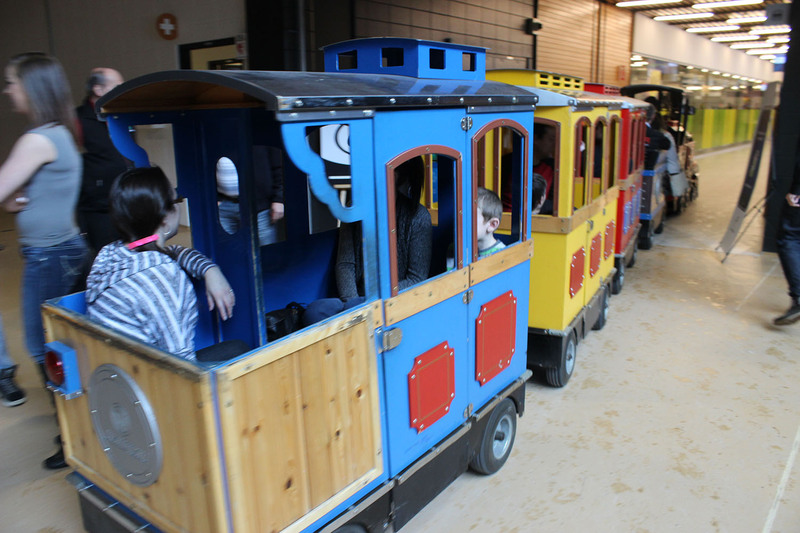 Come and browse the Salon with a 10-meter train! 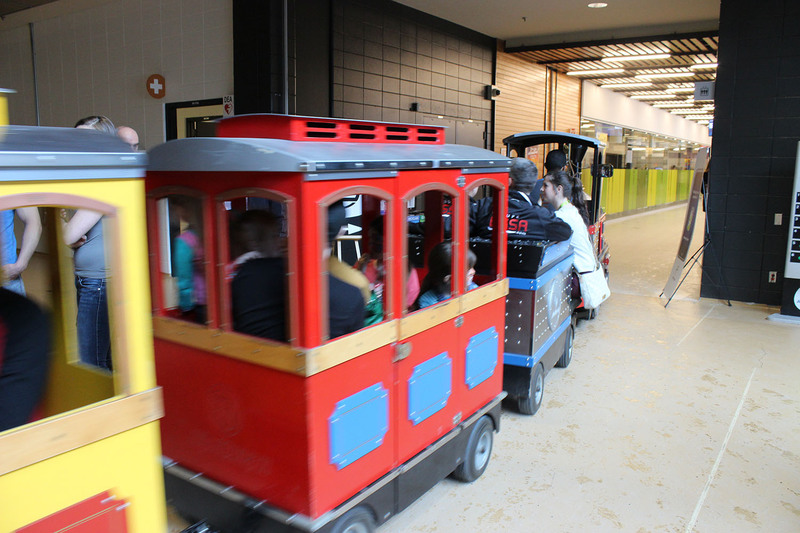 Up to 20 people at a time can furrow the aisles. 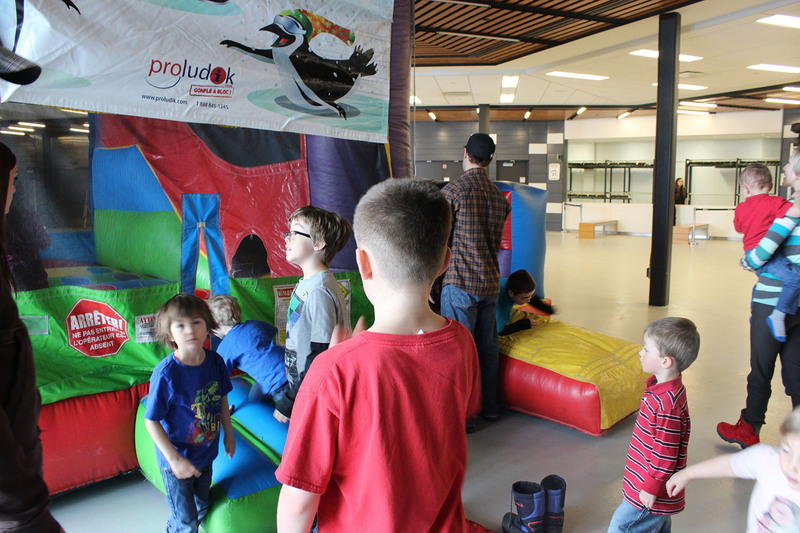 Proludik also invites you to jump, climb and slide in the 20,000 square feet of inflatable games located in the Toyota Family Zone. 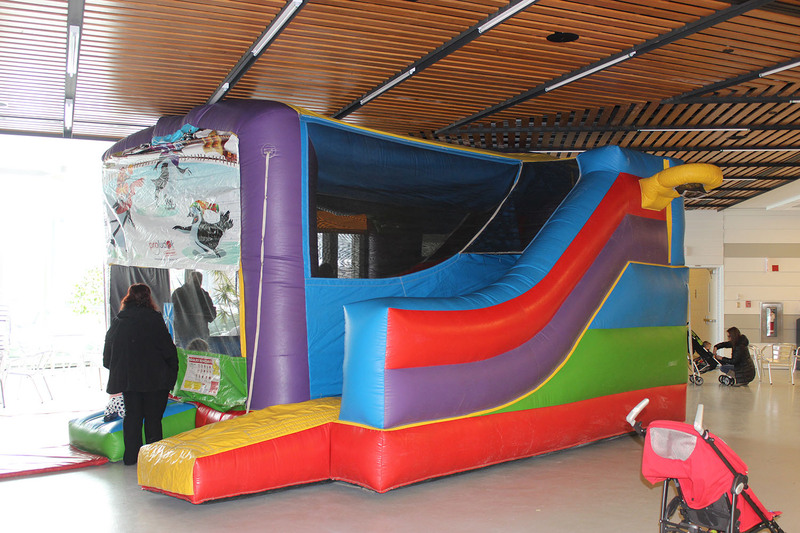 Whether you want to slip into the Barracks, to jump into the Confectionery, to face the Shark Slide, to frolic in the Meli-Melo or to hide in the Zig Zag, children under 12 years old will be able to enjoy it without limits! 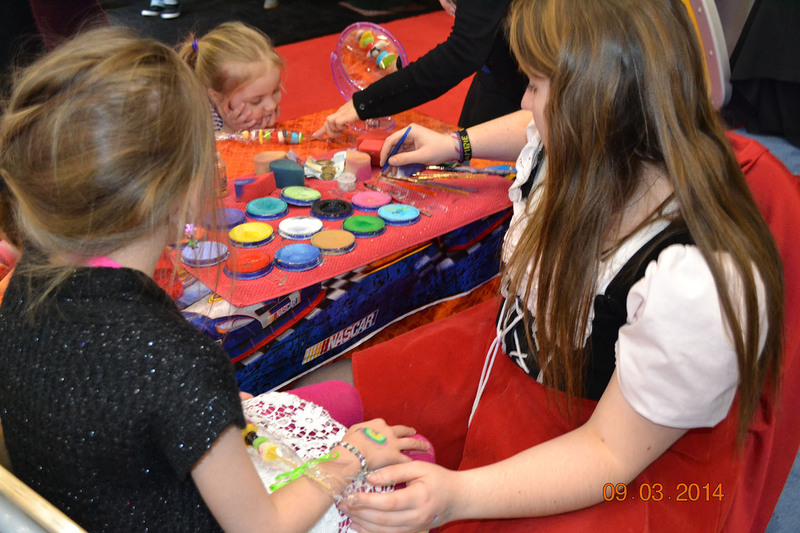 Fun, inflatable games, crafts and cars, the perfect combo to please the young and the old!